We are in an era where Celebrities are the new models, especially when it comes to magazine covers. Well yes, magazines sell quicker when Celebs are on the cover. But don’t you miss the days when the Naomi Campbell’s, the Tyra Banks’ and the Cindy Crawford’s where just slaying the covers (Hopefully I’m not the only one). 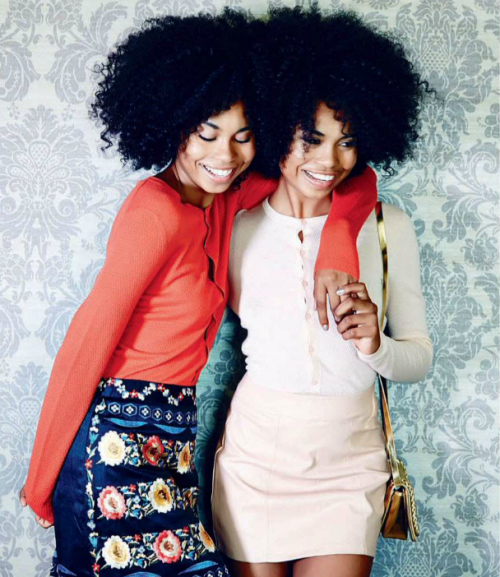 The February 2015 issue of South Africa’s Elle Magazine features these gorgeous twin models named Suzane and Suzana Massena. As we all know February is the month of “Love” and Elle Magazine SA is celebrating love but not as cliche as we know it. The Sisterhood Issue is to commemorate the most sacred bond i.e sisterhood. Reblogged this on Mayowa's World.